If you’re planning to buy your own home in Utah soon, one of the first things you need to be familiar with is a mortgage. 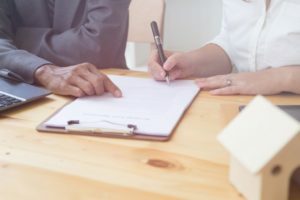 It may sound complicated, but understanding what it is, what it can do for you, and what you need to do with it will help make the process of purchasing your dream home much smoother. Buying your own home is far more complicated than purchasing in a store. Because houses are often too expensive to obtain using a one-time cash payment, most people use a mortgage. This lets you borrow money from a bank which you will pay off in increments within an assigned period. The load comes with a set interest rate. In applying for a mortgage, there are two pieces of information the bank will look into: your credit score and your budget. Keep in mind that in lending you money, the bank is taking a risk. After all, there is a possibility that you won’t be able to pay off your debt and it will lose money. Your credit score, also known as your credit rating, indicates the likelihood that you will be able to pay back your debt. A higher score is more favorable. During your application, the lender will use your credit score to assign an interest rate – better scores are generally awarded lower rates. To minimize risks, lenders look at your budget – how much you intend to borrow – and compare it with your income. This tells them if you have the financial means to pay back your loan and the accompanying interest. You don’t have to settle for a single type of mortgage. As long as you know where to look, you may find more creative options that are better suited to your financial needs and capability than traditional loans. Some lenders even offer special mortgages for first-time buyers, so if you are purchasing your first home, these may be worth looking into. Most fixed-rate mortgages, meaning you pay a set amount every month, are paid over 30 years. If you find this too long or you feel that your monthly payments are taking a considerable toll on your finances, you can opt for refinancing. This involves paying off your existing mortgage and replacing it with a new one. It is best done when mortgage rates have changed, or your credit score has improved, qualifying you for lower interest rates. Although refinancing increases your existing debt, it could lower your monthly payments and even shorten the duration of the loan when done right. The strategy can be risky, so it’s best to keep track of the mortgage refinance rates in your area of Utah to ensure that you maximize its benefits. A mortgage helps you buy a house without breaking your finances. It is one of the best financing options out there, especially if you are looking to stay in your house long-term. Understanding its benefits and the duties it entails will help you become a responsible homeowner.